welcome! 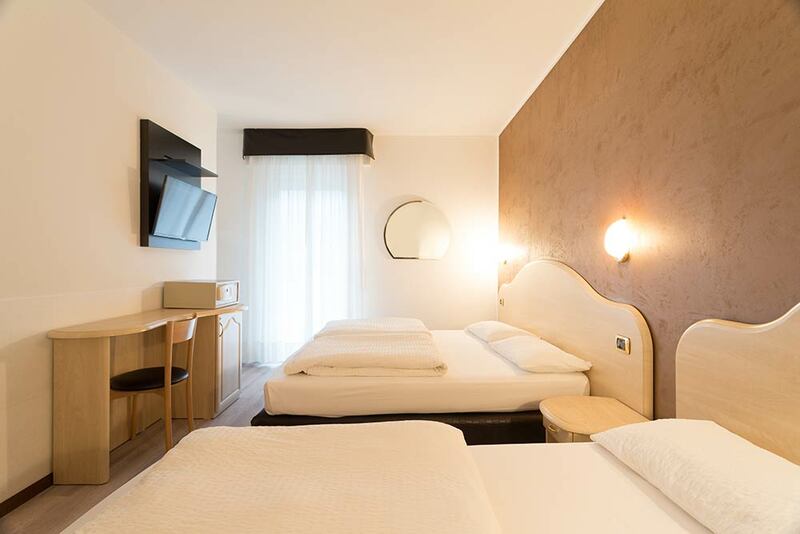 Our air-conditioned hotel in Riva del Garda is open all year round: cool in summer and warm and welcoming in winter. 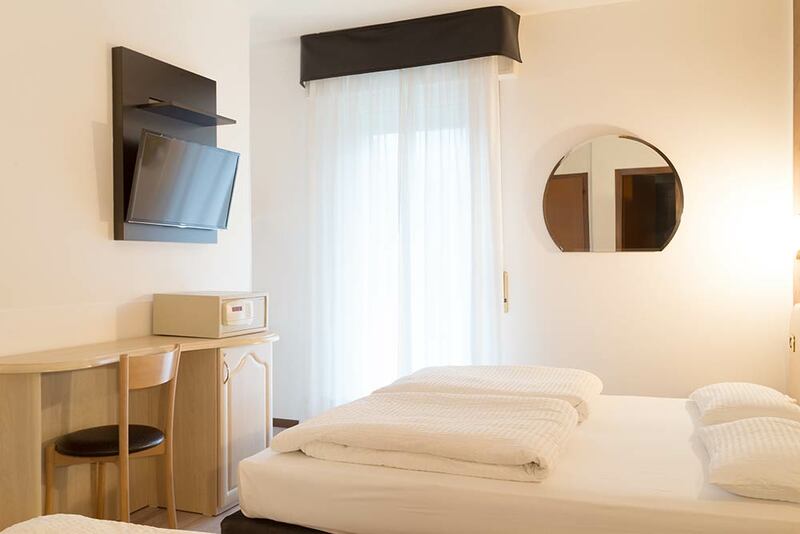 At Rudy Hotel we believe that everyone has to find the room that best suits their needs. Therefore, we have designed many different solutions. 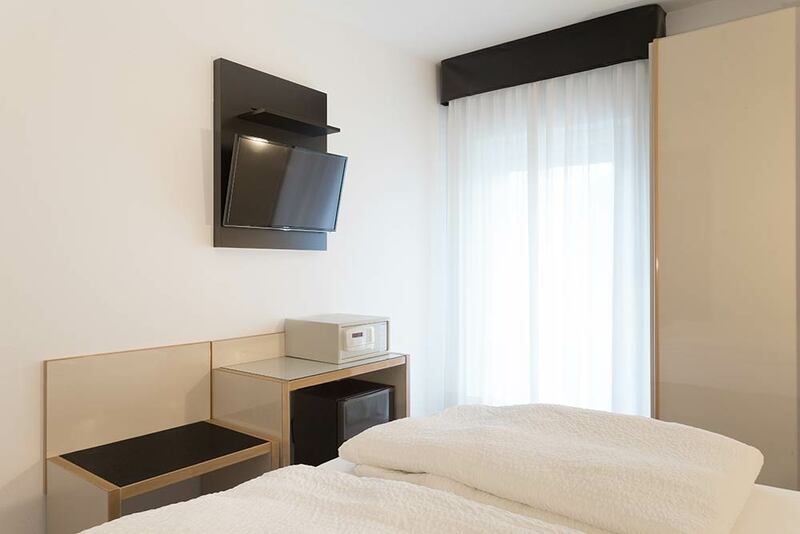 Our rooms are large, clean, sweet-smelling and highly functional. Those who prefer to enjoy silence, even during the day, can book one of our rooms overlooking the mountains around the lake. Instead, those who live the day outdoors and rest at night can opt for our rooms overlooking the front of the hotel. Choose the most suitable room! There are two types of solo travelers: those who say “Ah!!! Alone at last”, and those who say “Oh no!!! I’m alone again”. We provide all of them with the best accommodation: comfort, services and hospitality to cheer up lone travelers. 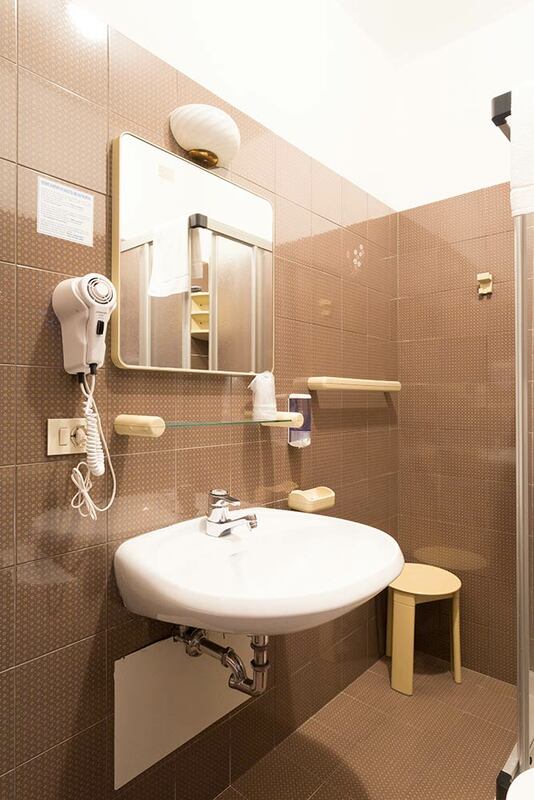 The single rooms at Rudy have comfortable wooden floor, bathroom with shower and 24-hour internet connection. Separate beds or a nice double bed? A romantic couple or friends looking for fun? 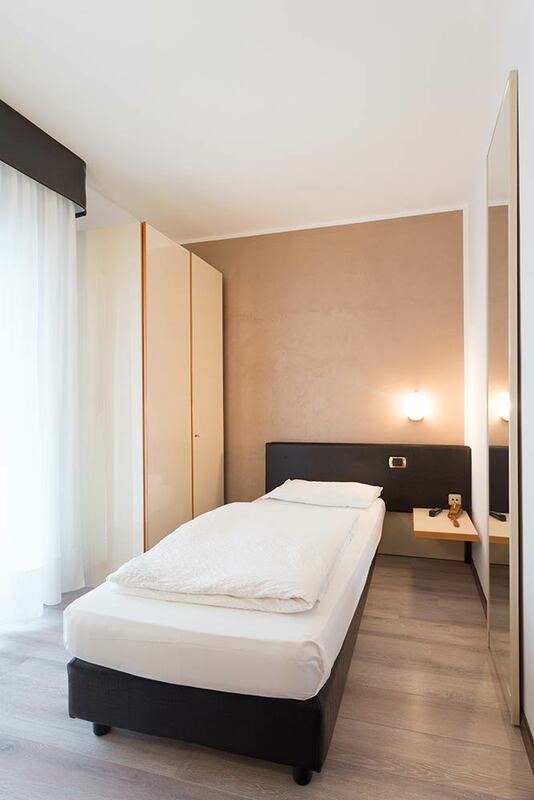 In any case our double rooms offer the right atmosphere: cozy, warm thanks to the wooden floor and rich in comfort. Three is the perfect number, whether you travel with friends or family, it does not matter! 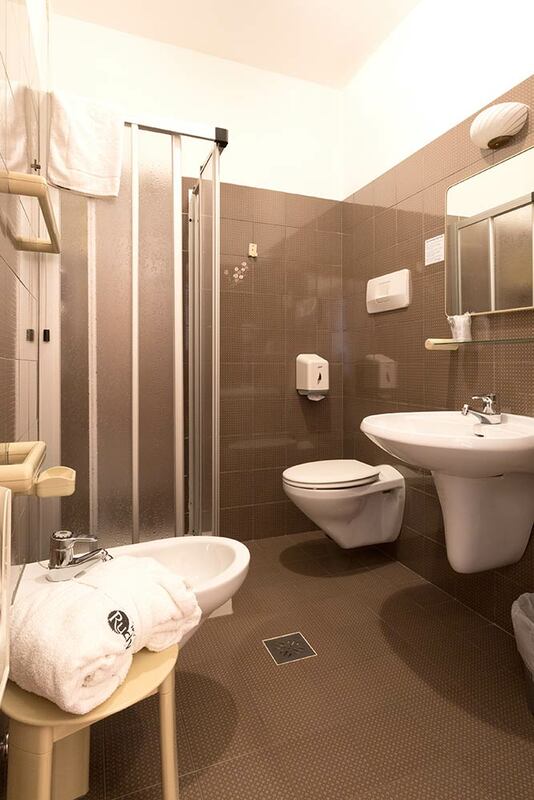 Rudy offers you large triple rooms, in the perfect style of the hotel: functional and rich in comfort. 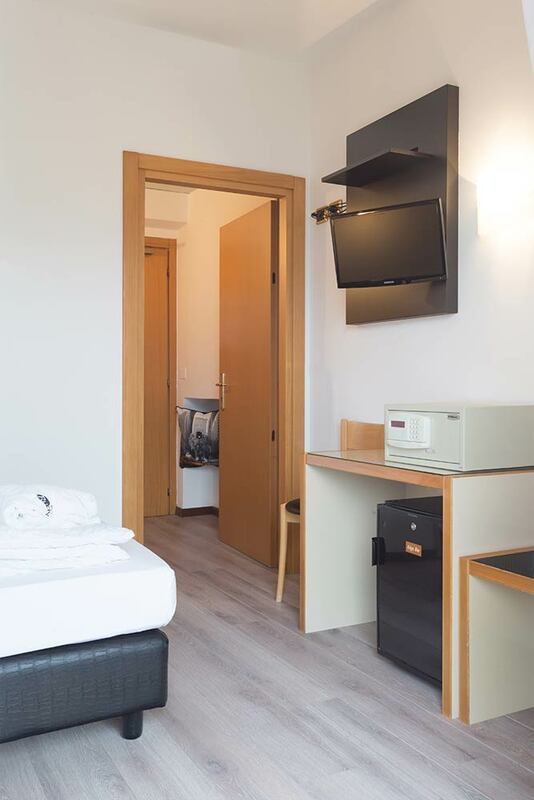 Each triple room is equipped with all services. When you travel do you do it with your group of friends? Don’t worry! 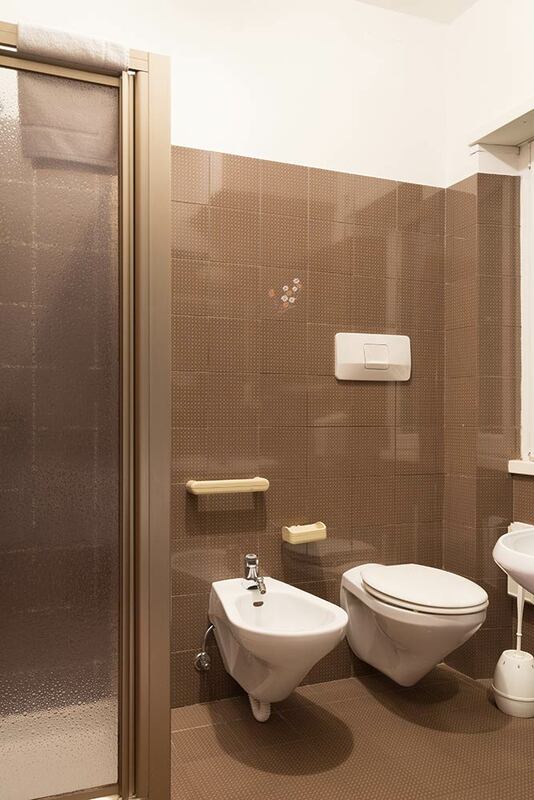 At Rudy we have the most suitable rooms for you. 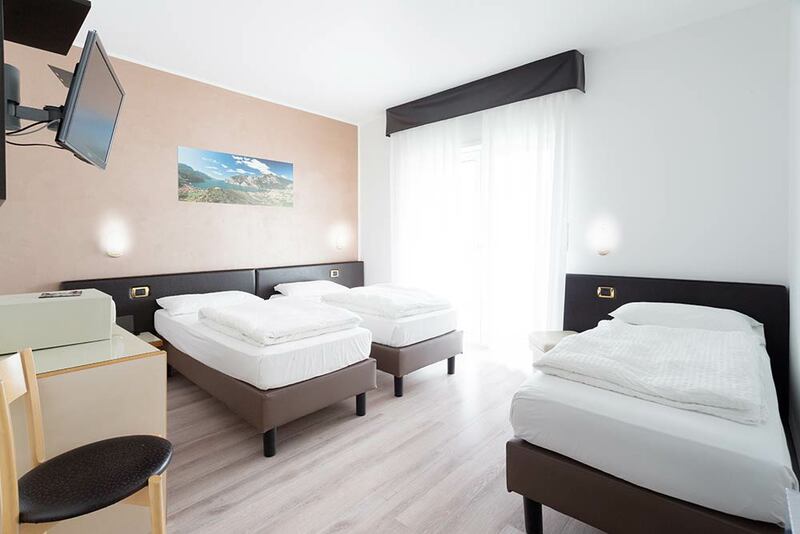 There is room for everyone in our quadruples, with double bed and single beds. All you have to do is decide your favorite composition. We will be flexible to your requests. Sleeping all together will be great fun!